If you've fallen in love with the newest fashion craze, jumpsuits for women, but have had a hard time finding them in a tall size, then let me pass along some good news...you now have options! This new all-in-one outfit, which has become an alternative to a dress, is very intriguing. With a top and pants connected at the middle, it makes for an easy, slip-on, go-to style. Rompers come in many versatile designs. You have your dressy styles which can take the place of a little black dress or other formal look. And, you have your more casual styles which include denim and overalls. When it comes to jumpers, fit is crucial, especially for us tall ladies. The top part needs to fit our longer torsos and the bottom part needs to fit our longer legs. I've found a few stores which sell jumpsuits in the measurements we need. You'll see them below as well as some nice product examples. The key to wearing a romper is your confidence. It can be intimidating at first and may take a little bit of time to feel comfortable in one, but this is a trend that you can't pass up. I'm all about trying something new, especially when retailers make an effort to offer tall sizes. So, I say go on and rock it! TALL TIP: Alloy Apparel is offering Free Shipping on orders over $85. 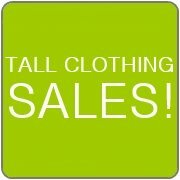 Find jumpsuits as well as other tall clothing you may like! Alloy Apparel - $ | Alloy Apparel has the largest selection of jumpsuits for women and junior girls in their Tall Shop. Pant lengths are offered in both 35" and 37" inseams. When it comes to jumpers, Alloy has a little bit of everything. Their more elegant designs could definitely be worn whenever a dress is needed. Their black rompers in particular are a good option for a dressy look. 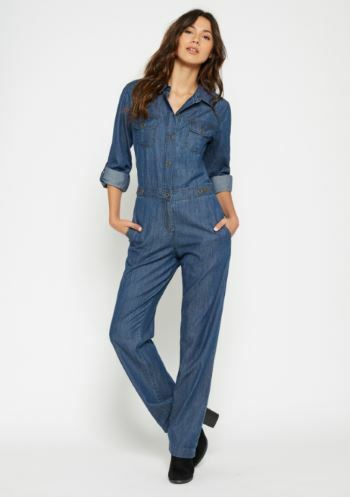 Alloy also offers an assortment of casual styles, including denim and overalls. These can be worn as an everyday go-to fashion for a day of shopping or dinner with a friend. Plus size jumpsuits are available here as well. Long Tall Sally - $$ | Long Tall Sally offers a nice selection of ladies rompers. Most come in a 34" or 35" inseam. With this type of outfit, you will often go an inch or so shorter than your usual pant inseam. 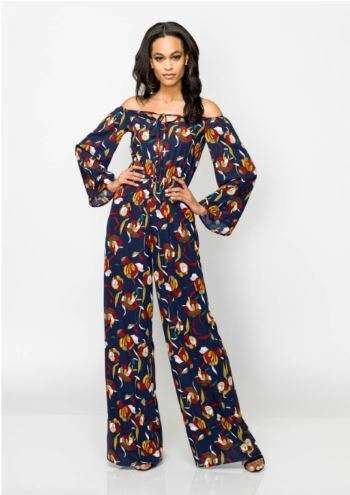 Long Tall Sally's jumpsuit choices are more on the dressier side, but they do have some options, including patterned designs, that can be worn as a casual look as well. Old Navy - $ | Old Navy's collection of rompers for women is very small but I thought I needed to at least point out that they are offered here, at least at the time of writing. Maybe they'll add some new items in the future. As of now, the styles they do have are casual. I'm not seeing an inseam measurement, but it does say that it's a tall size.